Whatever you define 'it' to be‚ some people have 'it' and some people don't. What 'it' is‚ of course‚ falls into the realms of abstraction -- where words don't belong. 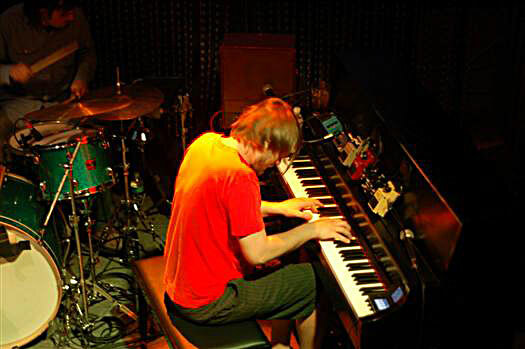 It doesn't seem to matter if it's a quartet‚ trio‚ duo or solo -- Hammond B3‚ upright or keytar -- Marco Benevento's fingers find the keys to take you there and back with every change‚ every song‚ in any musical project. Let's face it‚ the kid's got it. 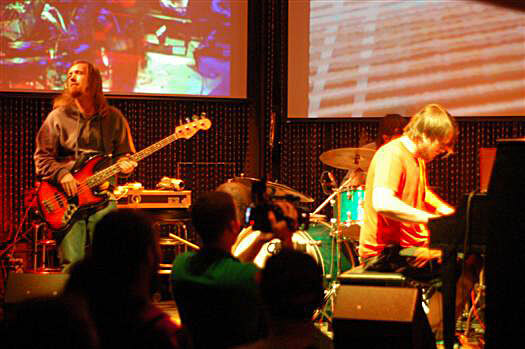 And Benevento brought it to Philly last week as a trio with bassist Reed Mathis from Tea Leaf Green and drummer Andrew Barr from The Slip. 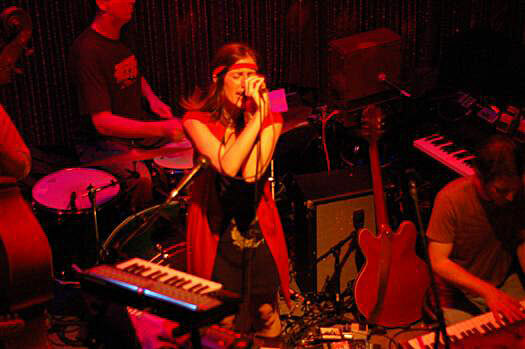 At Johnny Brenda's‚ a three-story hipster‚ corner dive bar turned perfect venue on Girard Ave. in the Northern Liberties of Philadelphia‚ the cool kids from all over came out to experience something on the fringes of what a younger generation of music has to offer. 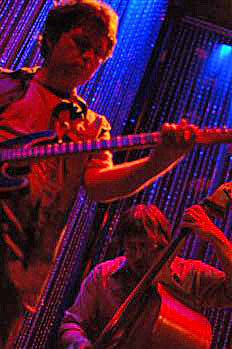 Among them‚ Jon Gutwillig -- guitarist from the Disco Biscuits. On a mild Wednesday evening in May‚ they all got a treat. In fact‚ they got a slice of sweet musical birthday cake. Jason Fraticelli‚ bassist for the Philly/Trenton-area band As Human turned a year onstage -- and he celebrated by giving a fitting performance to set the tone for Benevento's Trio‚ alongside bandmates Tim Conley (guitar‚ keys)‚ Ryat (vocals‚ synth)‚ Dion Paci (guitar)‚ and Justin Leigh (drums). 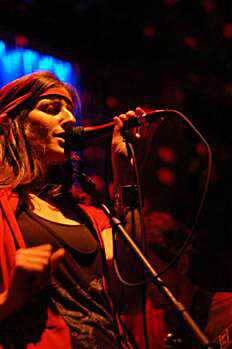 Ryat‚ the aptly named "quiet riot‚" took the stage and adjusted her headband as she began to toy with dials and knobs on fun little gadgets that affected and sustained‚ even looped‚ her vocal output. 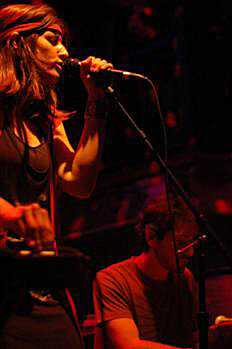 In an instant‚ the echoes of what I thought was a sound check melted into a colorful cacophony of jazz-infused rock -- or rock-infused jazz -- when wildly moving bass lines and thoughtful scribbles from Conley's lead joined the crescendo of Ryat's sweetly haunting vocal layers. 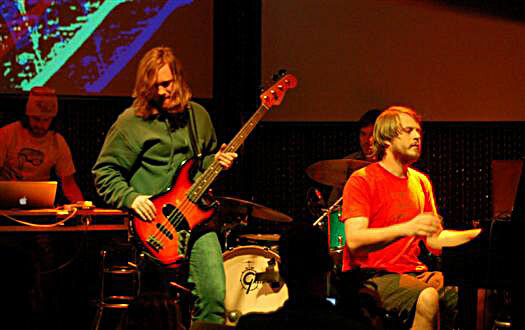 Perfect syncopation complements the use of pedals and effects to tune feedback into tone‚ allowing As Human to splash around in the barely charted waters of a techno age for improvisational indie rock. And that is exactly the place you want to be when you're getting ready to witness a musical performance of Benevento's proportions. Purely instrumental‚ stimulating to the senses and utterly fun‚ each Benevento Trio song takes you on a journey through a spectrum of quiet and noisy moments that are charged with creative energy‚ experimentation and a sense of wonder. If you are of the opinion that there is nothing new in contemporary music‚ you haven't heard Marco play -- and I do mean play. When he and the guys are thick into a jam‚ the expressions on their faces resemble that of kids in a candy store. 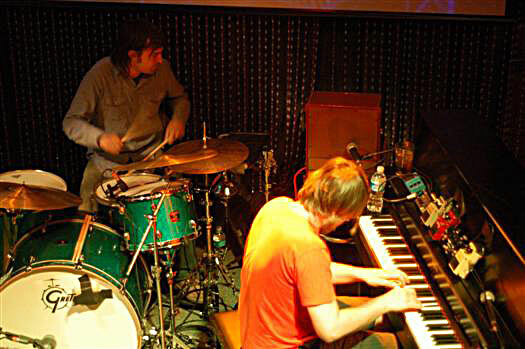 Playfully exploring noise and dissonance‚ the Benevento Trio fuses the best elements of jazz and rock to further the avenues of discovery for a newfound techno-savy generation of rock musicians. The experience is a playground for senses. The noisy moments are messy‚ like splashing around in mud puddles‚ but a sophisticated understanding of the classical elements of jazz and rock keep it tied together. 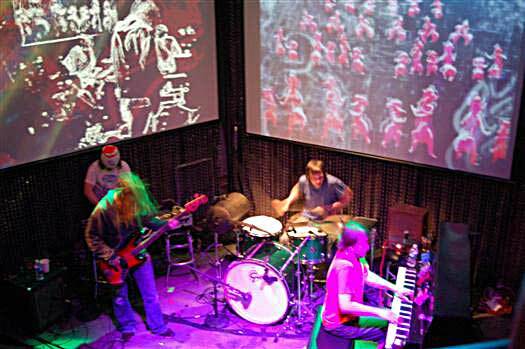 Top-notch musicians fill out Benevento's creative product‚ and each one finds a chance to push the envelope and play inside and outside the lines of structure. A good example is "Golden" (My Morning Jacket)‚ during which Barr gave a most impressive percussive solo‚ revving up his bandmates for a euphoric‚ bluesy finish. There were also a few other lively surprises for music lovers and the kids at heart‚ like " Pink Elephants on Parade‚" a segment from the Disney movie Dumbo. Tucked into the classic childhood animated experience‚ it's one of those Disney moments that pushes youngsters' imaginations into a dark‚ utterly frightening and awe-inspiring moment of nightmarish antics. In the segment‚ Dumbo and Timothy Mouse‚ after becoming accidentally drunk‚ see pink elephants sing‚ dance‚ and play trumpets. Turns out‚ pink elephants parade perfectly as a brilliant visual companion to the trio's version of "Twin Killers" (Deerhoof)‚ in which a steady drum beat‚ bass and lower notes on Marco's piano sync delightfully to the marching of the technicolor elephants‚ not even missing one beat when the song melts into auditory abstractions and out-there jazz moments -- when colors‚ stripes and strange elephants wiggle and splash together over the stage-lit fringes of band members' flapping manes. 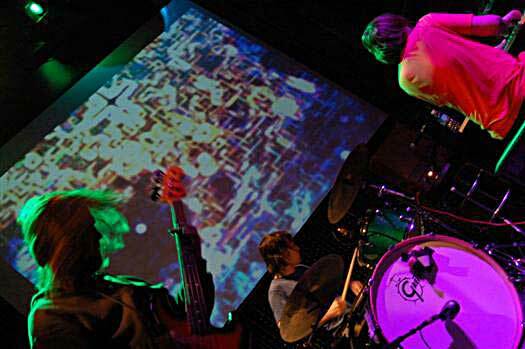 This was thanks to an onstage video wizard who ran live video through a laptop‚ mixed it with animation‚ and output to a large screen behind the band. The audience‚ as you could imagine‚ ate up the reference‚ which was a delightful throwback for the mostly twenty to thirty-something crowd‚ dancing wildly around the foot of the stage in a delicious moment of sensory elation. It is in moments such as these that you realize Benevento is kind of like a charismatic‚ adult version of 'the kid in class who won't sit still.' Maybe this is one of the reason's why Marco's got that something special about him. His music consistently embodies the creative expression of an inner child -- and he brings out the same in everyone who listens. And isn't that what music should be about? 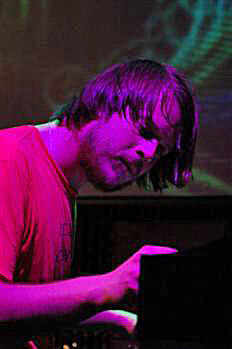 Marco Benevento is a classically trained musician with the heart of a rock star. 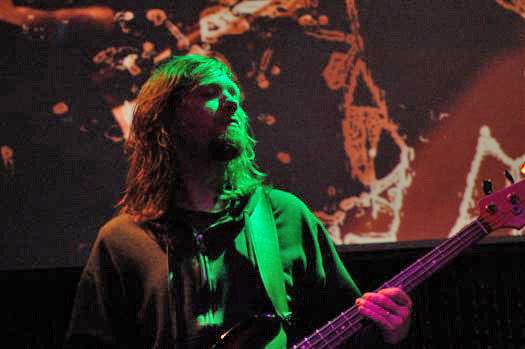 He dangles tonal experiments on the strings of an active subconscious for all to enjoy. His music breaks the division of genre and demographic by fusing jazz sophistication with an inner youngster who is ever-rocking out in some figurative basement. 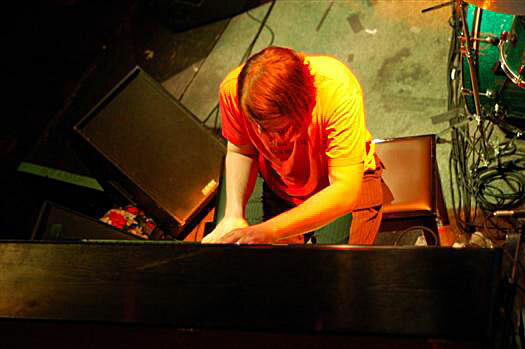 He plays with elements that range from classical to outright noise to show you the music in all the spaces in between. However‚ like a true master of the realms of musical abstraction‚ he melts the dissonant scribbles of digital sounds and mechanic loops into the classic elements of jazz on the platform of rock and roll. Perfection. And this time‚ no Hammond! Marco played an upright piano that lent a bright‚ clean sound to augment the more classic elements of his key-work. 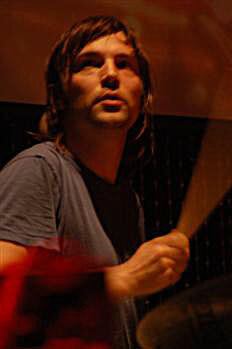 It's an aspect of Marco's playing you don't get to hear from the synthetic effects of his big bad toy we all know and love so well from his performances as a duo with drummer Joe Russo. You get to see a completely different side to Benevento's repertoire‚ and it makes it even harder to decide if you're a witnessing a masterful jazz ensemble or the most innovative indie rock experience‚ ever. 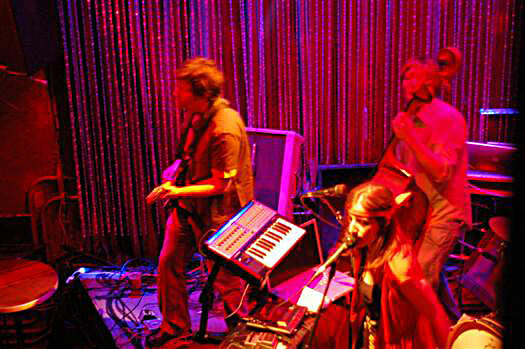 Moreover‚ Johnny Brenda's is a perfect venue for a small show. If you are in Philly‚ you must partake. It's a dingy corner bar‚ that brings dive and hipster together in an intimately artsy experience that has you a few feet from great beer and the musical point of impact nearly anywhere you go. Hang slightly over the balcony railing to snap an aerial shot‚ and you feel like you can scale the stage curtain right down to give the drummer a beer. I wouldn't advise trying‚ but if you've been there‚ you know you've thought about it. 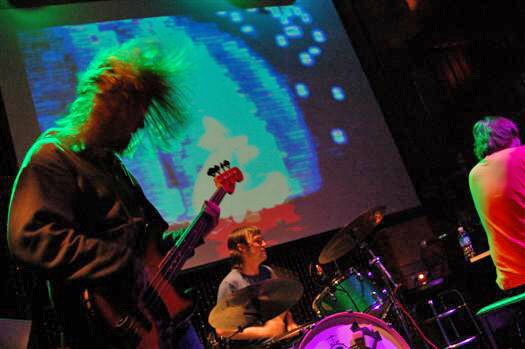 From onstage‚ musicians who play Johnny Brenda's can connect with their audience‚ as many of the bands who frequent the spot often relish in the ability to do. And the Benevento Trio was no exception. They gave a great show‚ closing out with George Harrison's "Run of the Mill" into Led Zeppelin's "Friends." They got into the sweet and the nitty-gritty of the blues with a cascading solo from Marco into the booming beginning of "Friends‚" hitting a quick Beethoven's Fifth along the way. Who else can step into both Jimmy Page's and Robert Plant's shoes at the same time without singing nor playing guitar?